After a day spent staring at a screen as I start on my tax return, an unispiring experience where I am shocked at how little I earn, this evening I have turned to the slighter larger screen in the corner of the sitting room. It’s been mainly Channel 4; the news, the Paralympics, The Last Leg, shortly the Paralympics again and I’ll be watching until Ellie Simmonds races just after 11.30. But I had a bit of a break on ITV remembering how much I loved Cold Feet all those years ago, and finding that this return series is again reeling me in. I had to go back to the Paralympics for this one. I’m not saying that was the last time I was happy, but the supercharged happiness that they generated was exceptional. Just looking at the photos makes me feel glad to be alive. For more responses, click here. 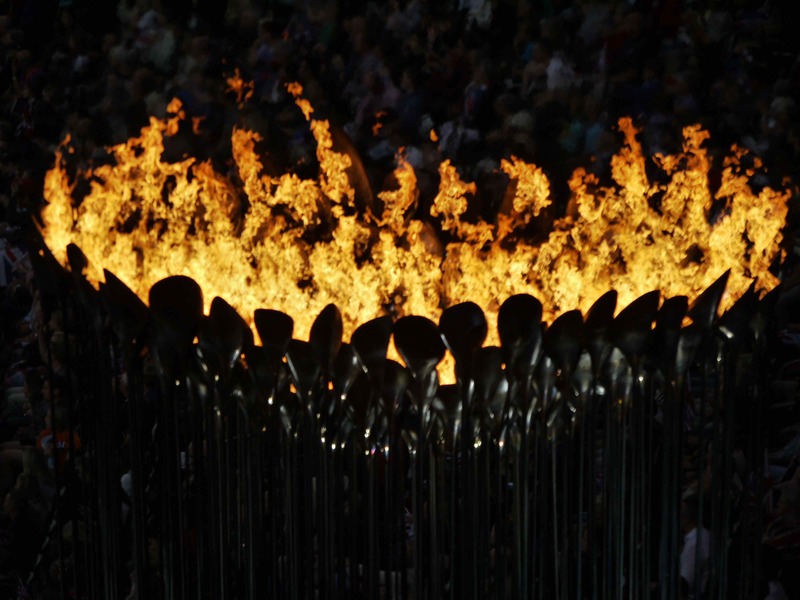 The Closing Ceremony has begun. The Games are over. David Weir blew our minds this morning when he won the wheelchair marathon. I have a host of new heroes after these last ten days, but David Weir is the one I admire the most. And tonight he is one of the flag-bearers of Paralympics GB with Sarah Storey. 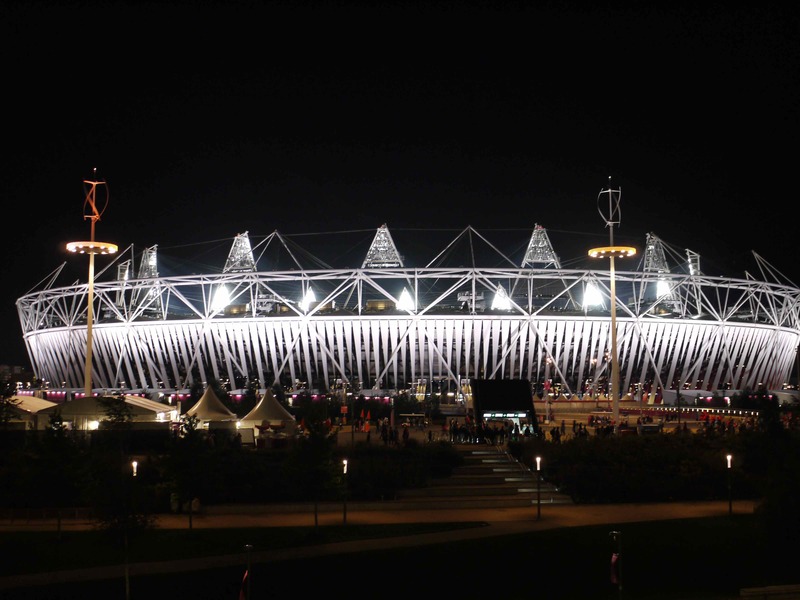 When I wrote about the opening ceremony, I said that I expected we would become as familiar with the Paralympians as we had the Olympians. So it has proved. Yes I knew about Oscar and Ellie, David and Sarah. I even had a passing acquaintance with Johnny and Hannah , but it wasn’t like it is now, where I feel as though I have been on an exhilarating and unforgettable journey where they have lead me to highs I never knew about. 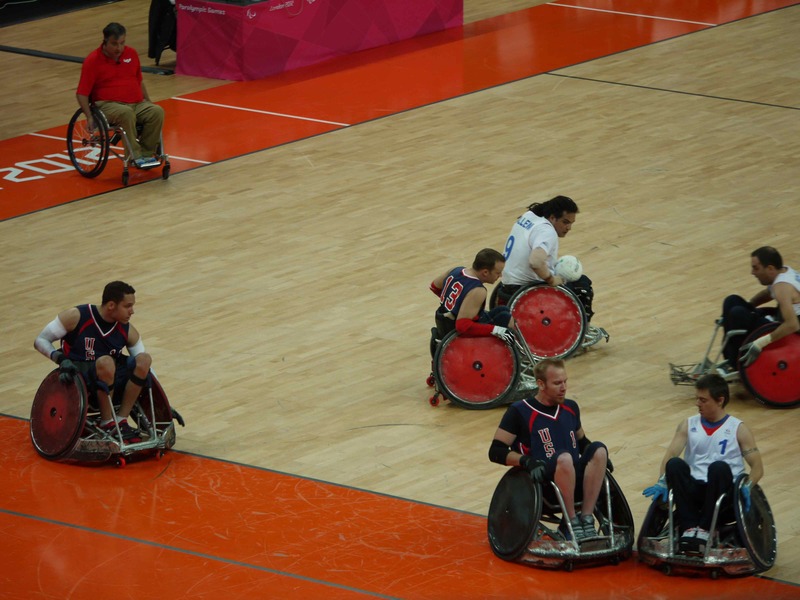 And I have a hero on the French wheelchair rugby team, Riadh Sallem who kept my attention riveted with his determination and competitiveness. He has star quality, by which I mean you have to watch him, he radiates such energy. It was pretty busy. There lots of people when I got to the park. Most of them were moving with purpose. Some had dressed in flags. 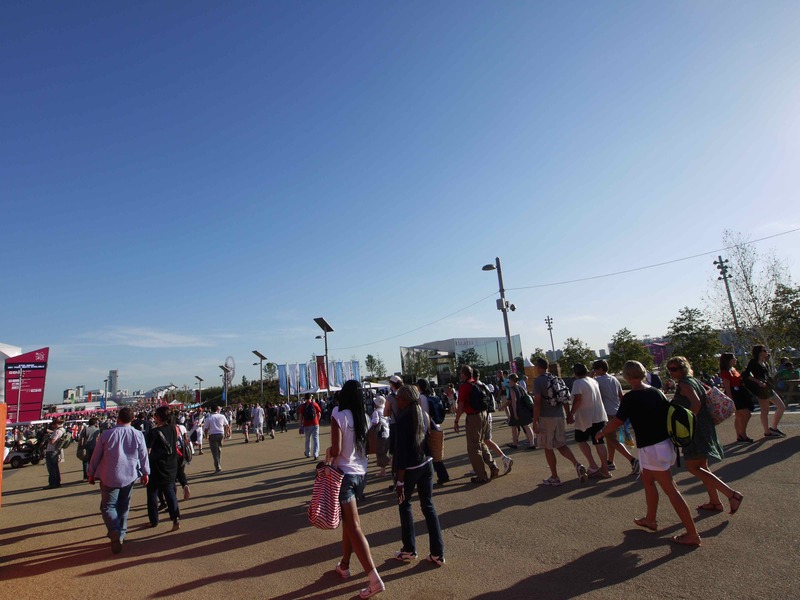 I was feeling a bit low today realising that I had no more tickets for the Paralympics, so late afternoon I went online and managed to get a day pass for Friday. I shan’t be able to go there until afternoon, but I am hoping to get into things I haven’t seen so far and enjoy the atmosphere one last time. I have heard some stuff said about Paralympians that has made me pause. You can’t watch these people and doubt that they are first class athletes. This isn’t some lesser hobbyist event. I am able-bodied. I am not an athlete. Put me in a race or contest with anyone of these Paralympians and I would lose. 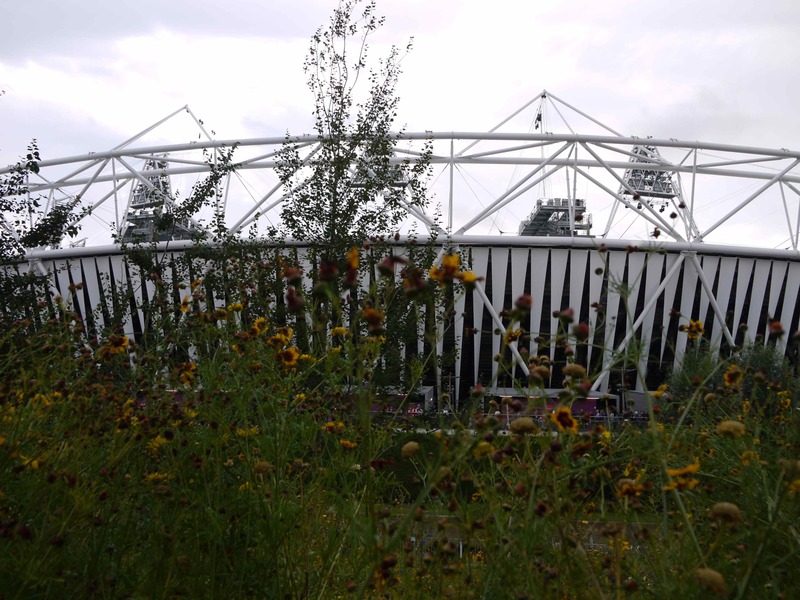 We were walking about yesterday, bumping into people we knew, chatting, shocked at the queues for the water fountains (there were none on Thursday), when there was a huge roar from the Aquatics Centre. Everyone looked at each other and started smiling. We knew Ellie Simmonds had just got gold. We celebrated with a beer £4.30 the bottle, so for a frugal person like me with boat bills to pay quite a statement. We needed to get into the Arena. I fell in love with the Arena at the Opening Ceremony and when I saw it on Thursday inside the Park my heart beat a little faster. Even grey skies couldn’t diminish my love. Actually, my heart started beating faster on the way to the Park. You know the expression about your heart swelling with pride? Well, I know what it means now. I took various photos of it in daylight ad after night had fallen. You might wonder what is so free spirited about this picture. 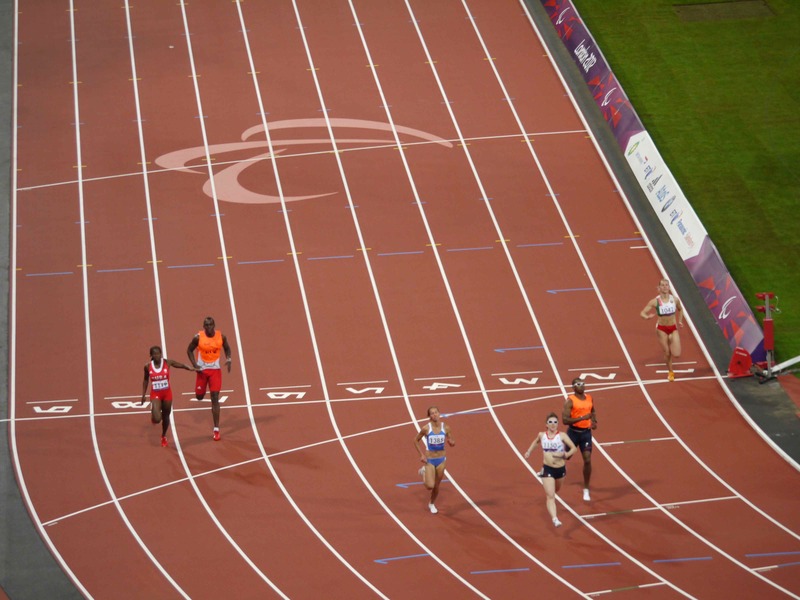 Libby Clegg is an athlete who is visually impaired, just as all the competitors are in this heat, the Women’s 100m T12. The guy on the right in orange is her guide, Mikail Huggins. Read more about how it works on her site. The final is tonight. All four finalists run with guides. Don’t miss it. You’ll probably hear me cheering from my sofa. For more challenge entries, click here. At the Paralympic Park yesterday there were lots of wheelchair users. People in electric chairs, self-propelled with muscle power, pushed by attendant. A few people using sticks. But no assistance dogs. Then I saw Cody. He was lying down, so I approached the man with him and asked if I could stroke him. I got the go ahead. Cody was one of the most relaxed dogs I have ever met. He settled his chin onto my arm when I spoke to the man with him who turned out to be minding him while his son, Cody’s human partner, was enjoying one of the attractions close by. Cody is a fetch and carry dog, sponsored by Dogs for the Disabled which just happens to be one of my favourite charities. He’s three years old and was due to be filmed by, I think, Sky, later in the day. It turned out I wasn’t the only one surprised at the lack of assistance dogs in the park. 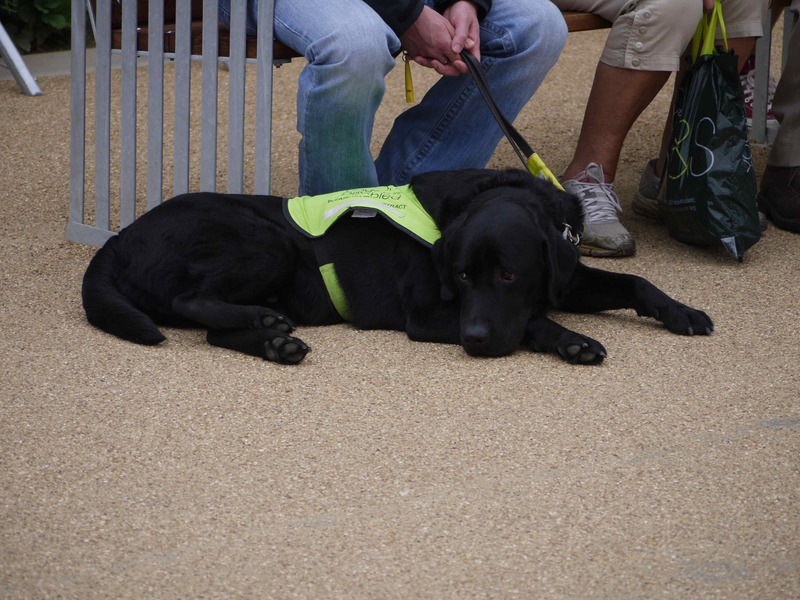 Cody’s minder had only spotted two others, both guide dogs for the blind. I hope if more dogs start turning up they won’t be met with the same lack of water bowls that Cody faced. 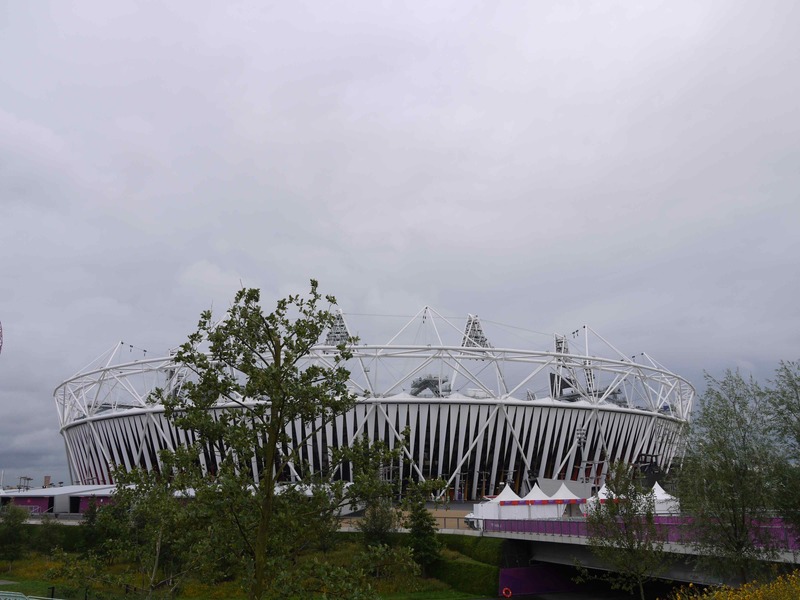 The Games Makers have been singled out for praise many many times during London 2012. The friend I went with yesterday interviewed people from around the world who applied to be volunteers. 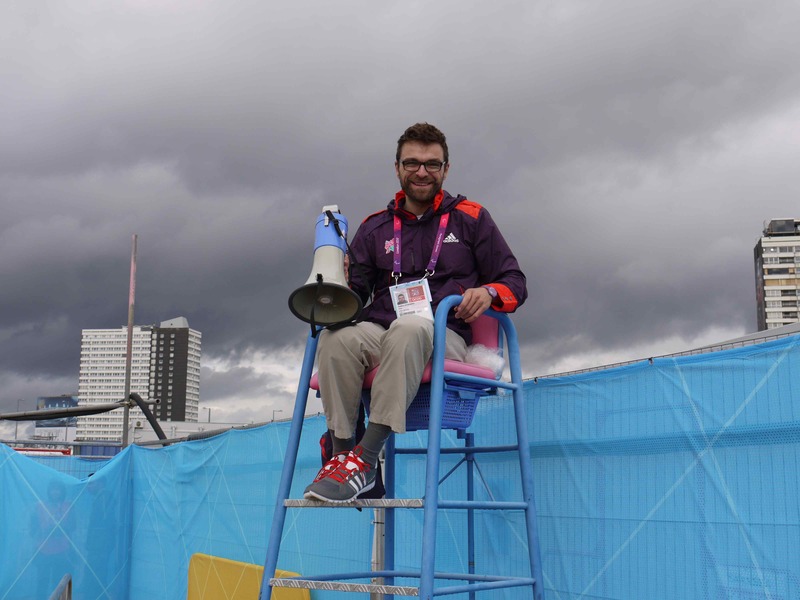 The system seems to have worked really well, but we were especially pleased to see this cheerful chap with his megaphone as we headed for the Aquatics Centre as we had just passed a trio of lads who should not have been given the uniform. They looked like Games Makers turned bad, huddled together, making negative comments about passers-by, they made me wonder aloud if they could possibly be doing community service. I certainly wouldn’t have been happy to approach them. Inside the Aquatics Centre we climbed to our roof level eyrie. The place was full. 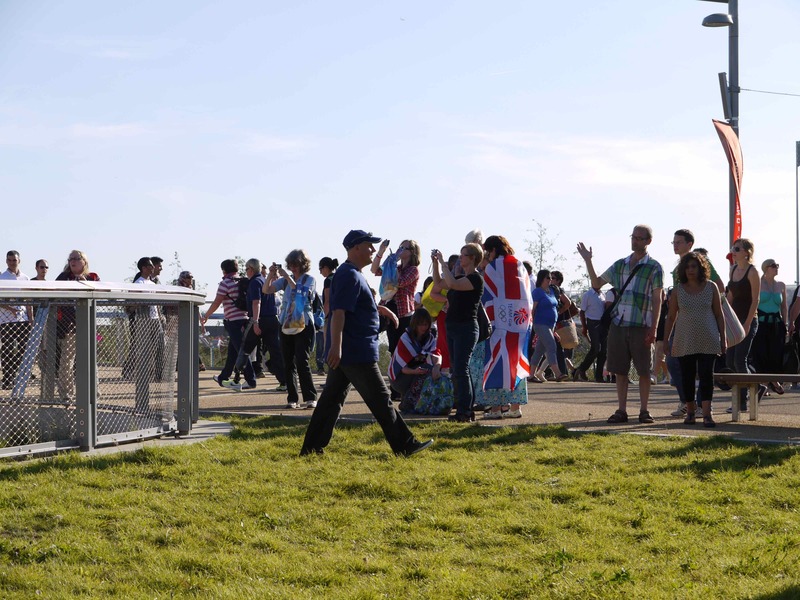 And the crowd was predominantly British. 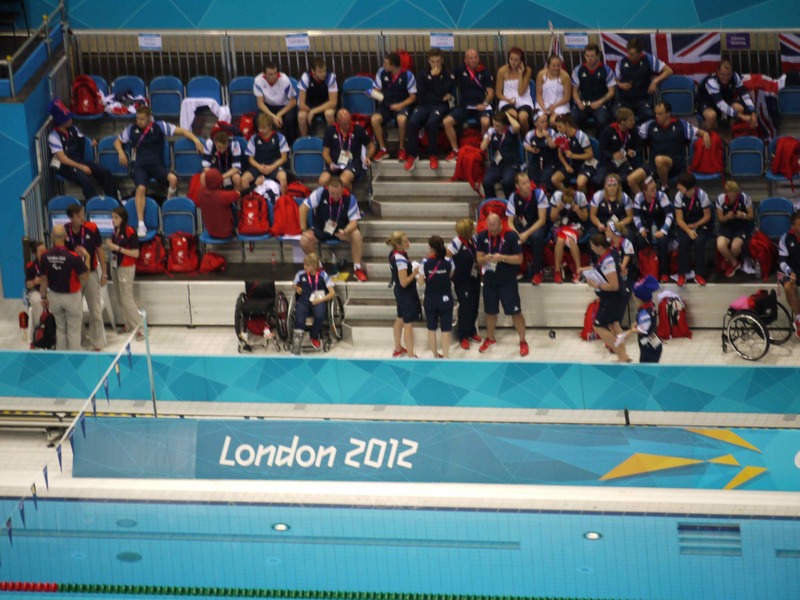 We could see ParalympicsGB’s poolside presence from where we sat. We cheered everyone, but there was a definite partisan roar for Hannah Russell. We yelled ourselves hoarse as she swam a very tight race, claiming the silver. I love the way the crowd just takes to its feet as one when excitement grips it. We will be alongside you.